DWAR INTERIOR AND KITCHENS is the one-stop destination where you can avail end-to-end interior renovation solutions. The company is actively engaged in the supplying of Designer Doors and providing services like Interior Design Consultant, Interior Design Services and Modular Kitchen Designing. In addition to this, we have efficiently catered to the needs of the Construction Industry etc. 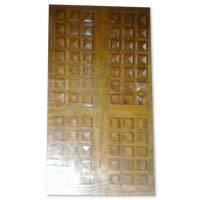 We are reckoned as one of the dependable Designer Exterior Doors Suppliers in India. The array of the Designer Doors offered by us includes Teakwood Doors, Flush Doors, Glass Doors, Moulding Doors, PVC Doors, Vinear Doors etc. 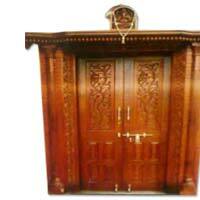 Having a huge assortment of Designer Doors, we do not compromise with the quality. Various well-known builders are placing bulk orders for the Designer Entry Doors as no alternative is available in terms of quality and look. 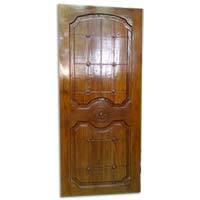 Additionally, customers are eased with the availability of the Designer Wood Doors in varied sizes, dimension and designs as per the specifications provided. To enquire about the desired product(s), just check the box and then click â��Enquiry Nowâ�� button which is provided below.